At this time, the Arkansas State Police only allow commercial driver's license (CDL) applicants to make appointments ahead of time. Keep in mind though, not all tasks require an in-person visit to a branch office. You might actually be able to save yourself some time by using the online services offered by the state. For all other types of license tests, you simply need to show up between the appropriate hours for testing. You can check the testing times specific to your county using the Arkansas State Police's interactive map. Select your county from the interactive map on the AR State Police website. 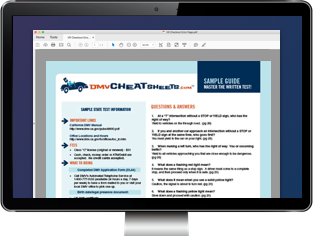 Find your local license testing center on the PDF provided. Call the phone number specific to your local office and schedule your CDL skills testing appointment. A vehicle of the same class of the CDL you're applying for. Proof of registration and insurance for the vehicle you're testing in. Self and medical certification documents (if applicable). Proof of legal U.S. residence and your identity (see the list of approved identification documents). Appropriate payment for the test fee of $50.